Have You Had A Previous Quote ? If you have already received a quote and wish to book it in or edit the details, please tick this box and enter your quote number. There is a $5 fee for pickups from a Private/Residential/Home address. *All items quoted online are on the basis that your goods are packaged for freight. If your items are not packaged please contact our office on 1800 854 627 for an immediate quote. Your goods will be flown by plane (in most cases). It is generally an overnight service to all capital cities and can extend to 2 working days to Country areas. Our general and most cost-effective option. Send anything from an envelope to boxes to pallets. This service generally takes 2-3 days to capital cities and 3-5 days to Country areas an up to 7 days in remote areas. A tail lift truck is a truck with a lifting device which lowers down to ground and helps lift it back to the truck. If your items is over 40 kg or a bulky item that cannot be lifted by hand this service is for you. *All items quoted online are on the basis that your goods are packaged for freight. If your items are not packaged please contact our office on 1800 854 627for an immediate quote. Perfect for fragile items such as tv's and computers. Your freight won't travel on conveyor belts and has a specialised spot in the back of the vehicle. *EASTER 10% OFF IS ONLY VALID ONLINE ONLY PRIOR MAKING PAYMENT. OFFER VALID UNTIL 22/04/19 11.59PM. DISCOUNT CAN NOT BE APPLIED TO BUSINESS ACCOUNTS AND NOT IN CONJUNCTION WITH ANY OTHER OFFER. CODE MUST BE ENTERED IN THE PROMO CODE SECTION ON STEP 5 PAYMENT PAGE WHEN BOOKING ONLINE. DISCOUNT CAN NOT BE APPLIED AFTER BOOKING HAS BEEN PROCESSED. PLEASE contact our office on 1300888243 OR 1300312658 for a quote DURING BUSINESS HOURS. 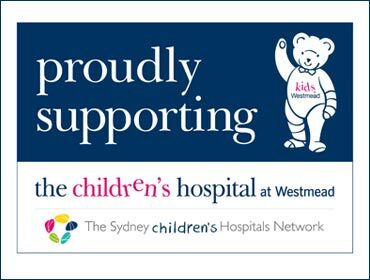 The Bandaged Bear Appeal is the signature fundraising appeal for The Children’s Hospital at Westmead, helping to raise vital funds for patients and their families. We delivery locally, throughout Australia and overseas too. For local and international quotes please call our office for an instant quote. For all intrastate and interstate quotes, fill in the quick quote form above! WE DO TIME CRITICAL SERVICE OPTIONS TOO! We do anything from same day time critical services to standard road options for those items that are not so urgent, For time critical pricing please call our office. For all other service options fill in the form above!